WHERE DO WE DIVE ? Organized dives take place in and around shoals and sandbanks surrounded by deeper waters, located 10 minutes to half an hour away from our diving center, and are reached courtesy of the centre's own boat. Along with daytime diving, we organize night diving excursions, scuba-diving around the shipwreck "Coriollanus", and underwater cave explorations around the islet of Banjole near Rovinj. Plava Laguna's Scuba Diving Centre is equipped with two Bauer K 14 compressors, each with the capacity to produce 200 litres of air per minute. We also have air reservoirs with the capacity to fill 600 litres under 200 bars of pressure. Diving tanks (bottles) are filled in a tub of cold water. 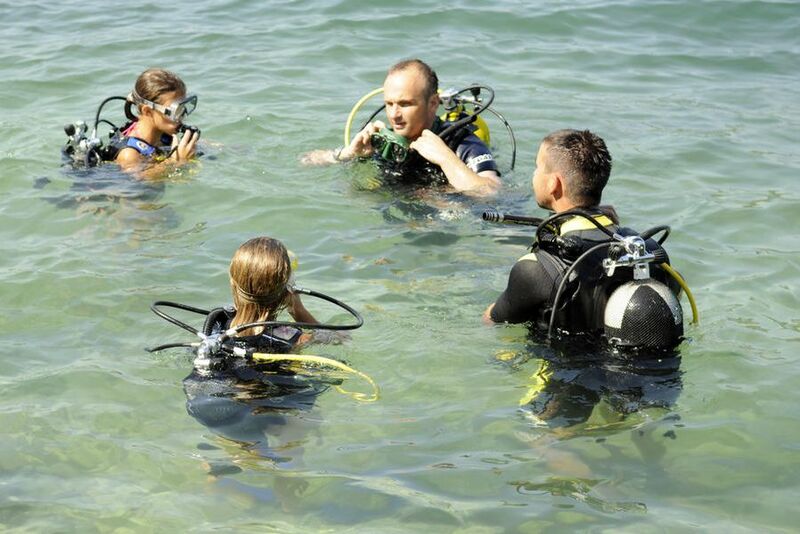 We have 15 full sets of standard equipment (odrasli i djeca) for independent scuba diving, 20 air bottles.  Guests who wish to dive over an extended period of days can leave their equipment in our storage area. We also have storage space for charter groups. We have hot and cold water showers at the disposal of our customers, as well as a large tank filled with freshwater for the purpose of rinsing and cleaning scuba equipment. All diving excursions out of the diving centre are reached by means of our own vessel, the "Mala Laguna". The Mala Laguna is a wooden craft 10.5 metres in length, which can transport 12 fully- equipped divers to their destination. The ship is outfitted with a engine capable of reaching 7 knots (approx. 13 km/h). It is also equipped with a maratime UHF radio receiver, satellite navigation system, echo-sounder, complete first aid station (02) DAN Europe. The boat also has an 18 kg anchor with 50 metres of chain, cable and weights for decompression and a ladder for easy access into the sea. Dives are executed in shallow waters ranging from 5 to 39 metres in depth. The best diving in our region is done mainly at depths between 17 to 25 metres. 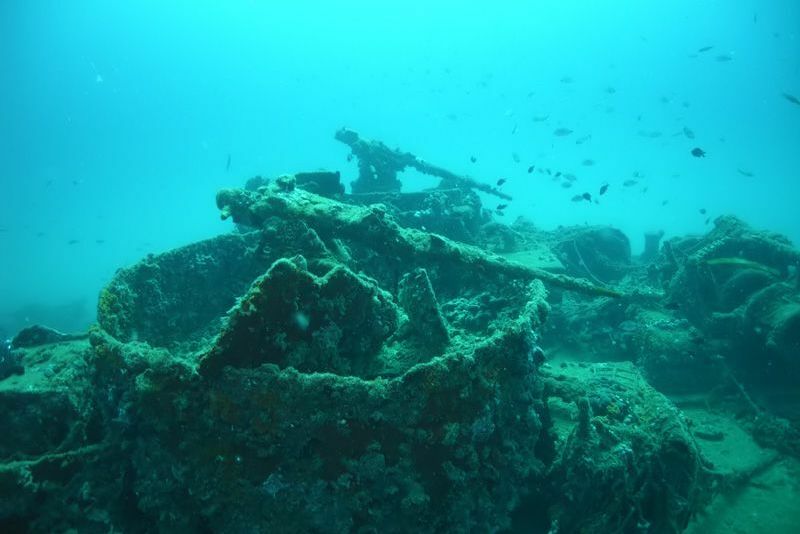 Diving spots, which are decided upon and choosen by the guests using our services, are also determined by both underwater visibility and weather conditions. Special diving excursions, such as visiting the sunken ship "Coriollanus" or diving into the underwater caves at the islet of Banjole, as well as night diving, must be booked a day in advance, and are dependent on the number of divers interested. WHERE ARE WE? 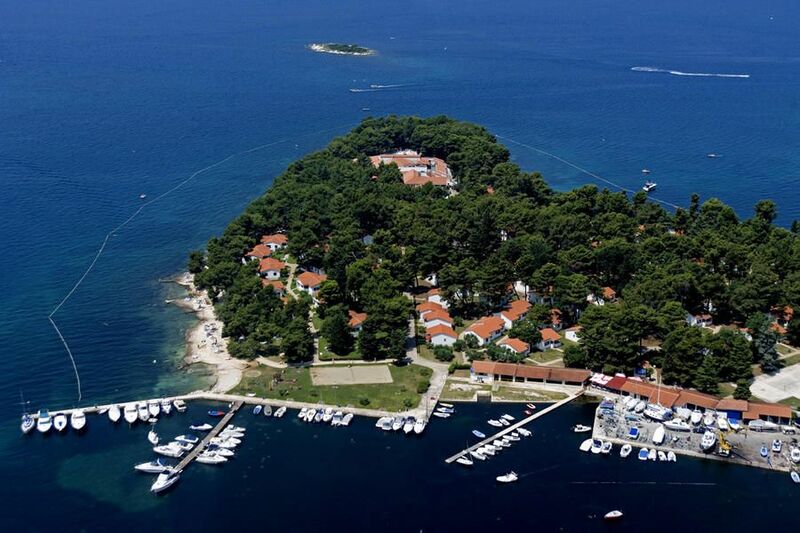 Our diving centre is located close to the Galijot hotel and rental apartments in Plava Laguna tourist settlement near Porec. Porec is in Croatia, on the western coast of the Istrian peninsula, which is situated in the northern Adriatic Sea, and is the central European gateway to the warmth of the Mediterranean Sea. WHEN DO WE OPERATE? 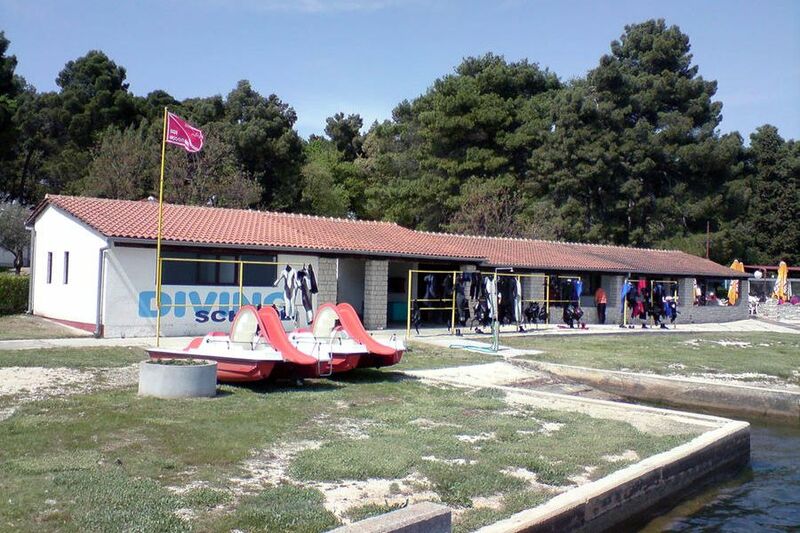 The Plava Laguna Diving Centre is open from the beginning of April until the end of October. 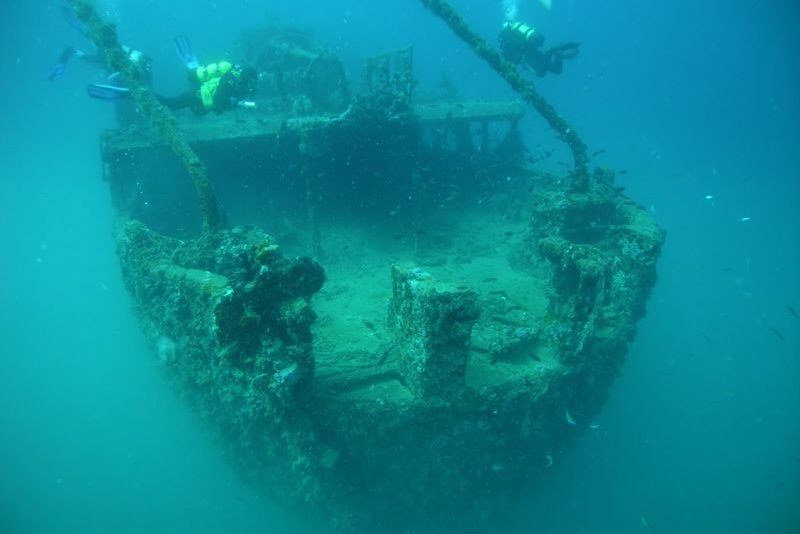 Out of season diving excursions, by means of advance notification and booking, are also available to those interested.